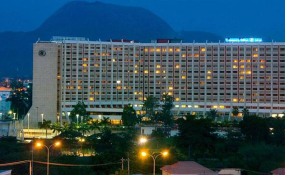 The W Hospitality Group, an international firm which specialises in the provision of advisory services to hotels, tourism and leisure industry in 39 Africa countries, has said rapid expansion in the number of hotel rooms in Nigeria is an indication of a growing economy and favourable investment climate. Managing Director of W Hospitality, Trevor Ward, whose company is also the host of the forthcoming West African Property Investment (WAPI) Summit & Expo, said in a report that Nigeria’s obvious scale and increasing economic sophistication was fuelling the expansion. Despite this transaction-heavy and deal-making environment over the past few years, the challenge, according to the report was transforming these deals into real rooms, which cater across a broad economic demographic from affordable to high end. “The reality is that only 4,000 of these hotel rooms are under construction,” it added. “The paradox is that while deals have been signed between operators and developers, the funding environment remains compressed and the biggest challenge to overcome. “This is despite the presence of global operators like Hilton, Marriott, and the Radisson rapidly expanding their footprint, but primarily focused on the top end of the market. According to the report, current demand is concentrated in the business and Meetings Incentives Conferences and Exhibitions (MICE) sectors, but the biggest opportunity is the economy or mid-scale markets. However, despite the potential offered by the economy or mid-scale market, international brands are focussed on the high end of the market with smaller brands like South Africa’s Peermont, Southern Sun, City Lodge are “making waves”. On serviced apartments, it noted that in such an environment, one emerging segment of the hospitality industry poised to break out is serviced apartments. Adisa believes serviced apartments are perfect for Africa’s fast-growing economies and urban future. “Serviced apartments are ideally suited for African markets. Significant business traffic headed to Africa is for extended stays, and it’s not easy to get here. ” Folks also tend to stay longer to close on deals or execute projects and we are more flexible and cost-effective than hotels,” he said. “Medium-term, as West Africa becomes a focus for international businesses there is going to be a significant increase in demand, and especially the demand for branded serviced apartments with a multi-city, multi-country reach,” the report added. “Airbnb’s presence has increased the credibility of the product as an option for many users.” Adding that, “We definitely do less education about what the serviced apartment product is these days. Corporates, diaspora and locals are increasingly requesting for the product. The limited availability is something Adisa believes would soon change as more investors look to invest in line with global trends and greater profitability in serviced apartments. “It’s only matter of time before we see dedicated investments in the space especially given the interest in real estate in general and the higher yields branded serviced apartment properties generate. It also helps that serviced apartments are now mainstream real estate investments and no longer seen as a niche in the West,” he added.